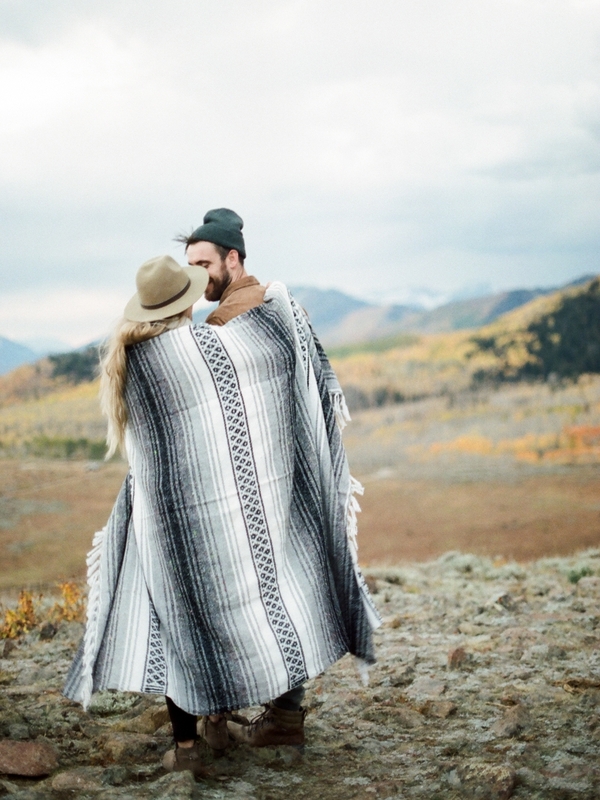 I loved this adventurous engagement session with Nathan + Launa in the Utah mountains. These two were all about the snuggles & adventures on this super chilly fall day. So whether it's known to you or not, I live in Texas. Like, the flat, humid, hot part, not the hilly, beautiful, sunny part. We don't have the picturesque four seasons, so a trip to Utah in the fall to see the out-of-this-world (to me) colors and experience the cool weather in the mountains was a must. I was so happy to attend the Themed Workshop with Megan Robinson in Salt Lake City to learn a little about the business side of photography, along with being able to shoot some of the most incredible photography pieces for my portfolio. One of the best portions of the trip, for me, was the amazing journey to the top of a mountain to photograph this crazy-in-love couple. 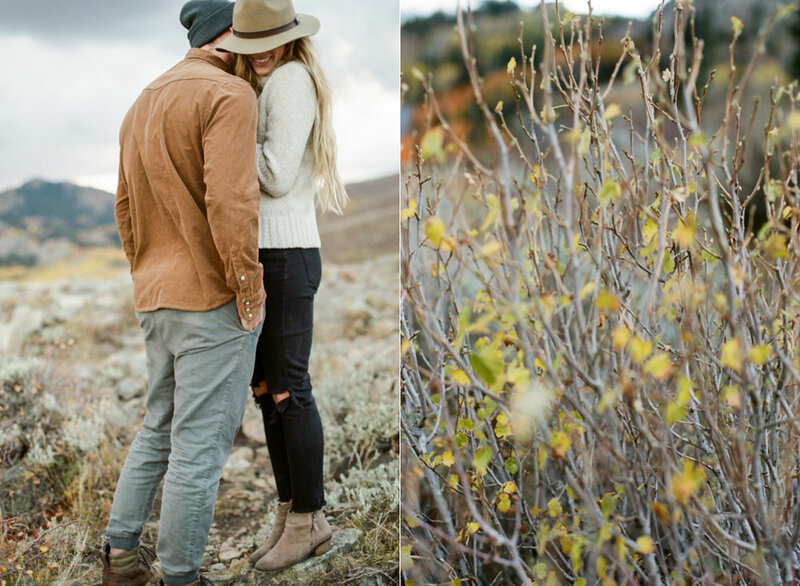 The crisp air in the mountain terrain and the incredible scenic views were the main sources of inspiration in my mind as I shot Nathan and Launa's simple lifestyle session in Park City, Utah. During our time spent together, a truly epic storm was rolling in behind the mountains, providing a stunning natural backdrop. 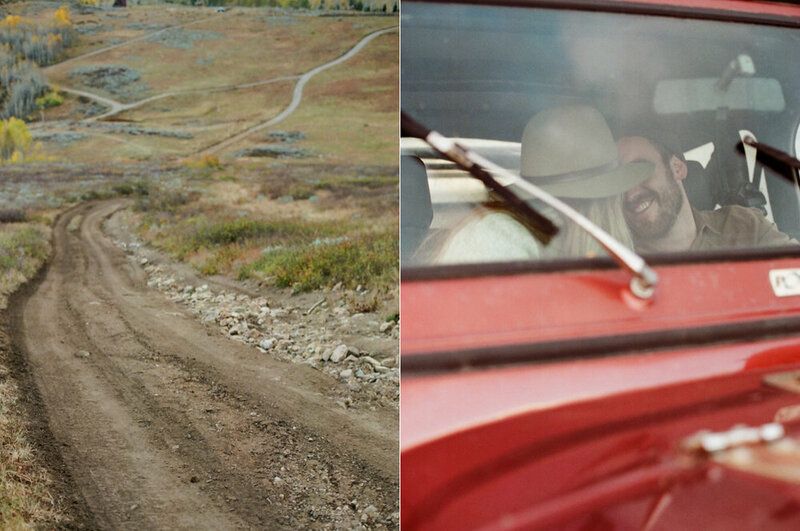 Some elements that made this session so unique included a well-maintained, older Jeep, which belonged to Nathan. It provided a warm spot from them to cozy up together. Another design element was the couple's cozy yet practical wardrobe styled by Amber Reverie, which fit perfectly for a small hike in the mountains. I approach each session the same way, attempting to capture the established connection between the couple as opposed to trying to establish a connection between the camera and the couple. Quickly, I discovered that the most natural posing accompanied by plenty of snuggles was the way to go in this cool, crisp fall atmosphere. Nature's breeze lent a hand by giving Launa's hair some serious model vibes. These two warmed up to the camera perfectly! 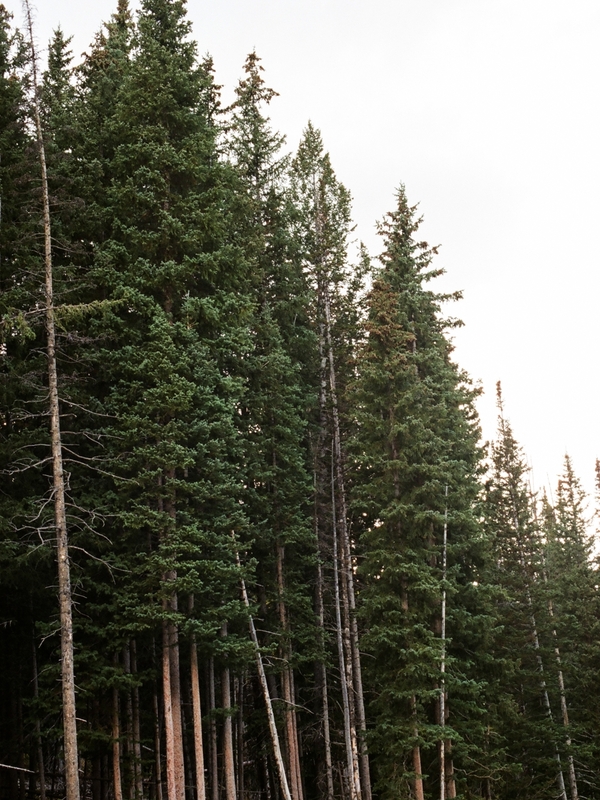 Everything about this lifestyle engagement shoot stole a little piece of my heart and as a result, I cannot wait until the day that I can plan a trip out to Utah and enjoy the views, the weather, and the perfect tones once again.